I enjoy exercising a few times a week. While I was abroad in Brazil and Vietnam, I found it slightly challenging to find places to exercise given that I was living with host-families and my programs traveled often; however, exploring ways to exercise lead me to different opportunities to participate in my host communities. I found the easiest way to get exercise while abroad was to go for a run. Running can take place anywhere and only requires sneakers. While abroad in Fortaleza, Brazil, I would run from my host-family’s apartment to the beach. In Fortaleza, it is popular for people to exercise near the beach in the early morning and evening. Trainers run classes on the beach and outdoor exercise equipment is open to the public along the boardwalk. Running to the beach in the morning offered me a different perspective of the city in which I was living. After my host-mother realized that I enjoy running, she helped me sign up for a 5k at a local sports club. 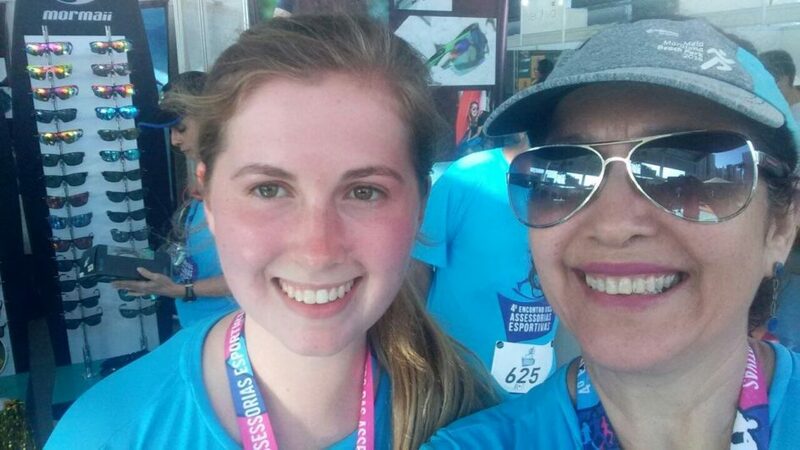 The 5k was a fun way to spend time with my host mother and to get involved in the local community. In Ho Chi Minh City, Vietnam, I would run in a park near my host-family’s apartment. In the park, I made some friends with local students who wanted to practice English. We began meeting up occasionally to jog and exchange languages. On my program in Vietnam I was around other people who enjoy exercise; therefore, I expanded my activity beyond running. One of the women who worked for my program would go to yoga after work. Since we lived near each other, I began accompanying her. When my program would travel, if we were in a city, the other students on my program and I would look up local gyms. Day passes at gyms were only a couple dollars in Vietnam. Visiting the yoga studio and various gyms was a fun way to experience the less touristy side of Vietnam. While abroad, it might be more difficult to find ways to exercise than it is at Skidmore; however, gyms are easy to find in most cities and running is always an option. I found that searching for ways to exercise while abroad lead me to meet new people and get involved in my host communities.